Get yourself a batch of pizza dough ready. 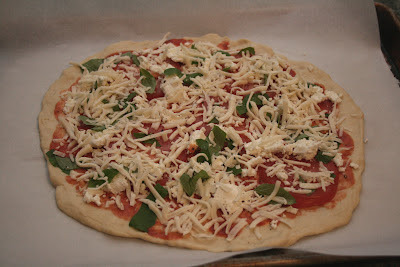 I like to make this pizza smaller, about 12 inches, & with thinner crust. If you do a whole dough recipe you'll need to divide the dough into fourths, roughly. You'll also need to make some sauce. 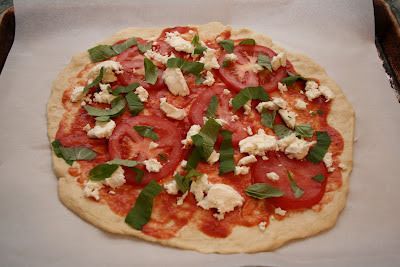 Spread out fist size portion of pizza dough onto greased cookie sheet or parchment paper into a 12 inch circle. 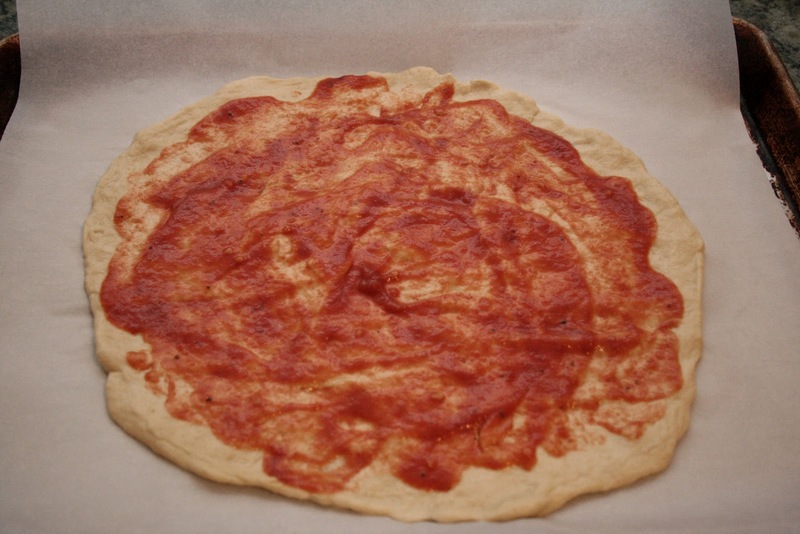 In circular motion spread pizza sauce onto dough leaving about an inch un-sauced dough around the edges. Lay tomatoes on top of sauce spreading them out to cover most of the pizza. Place small spoonfuls of the goat cheese on top of pizza. 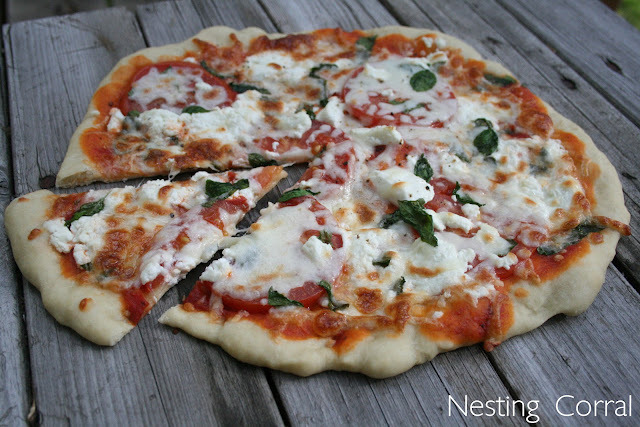 Pull off fresh basil leaves and spread them out on top of pizza. 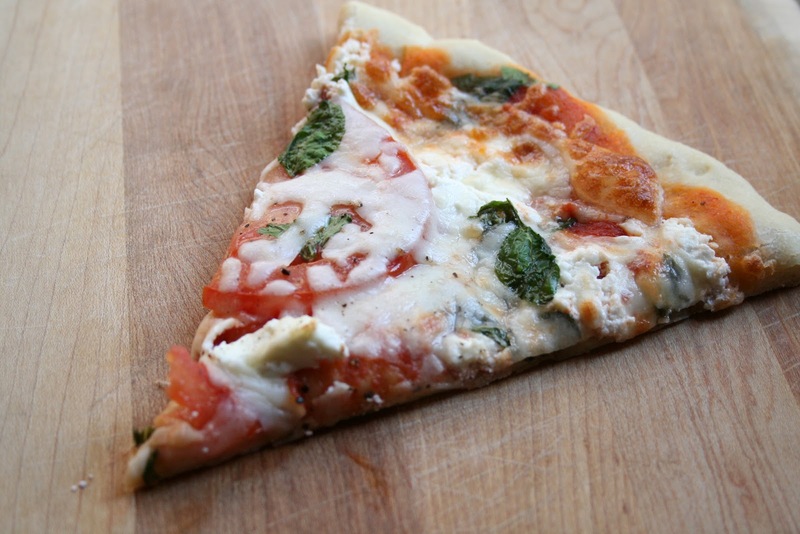 Sprinkle mozzarella over the top of everything. 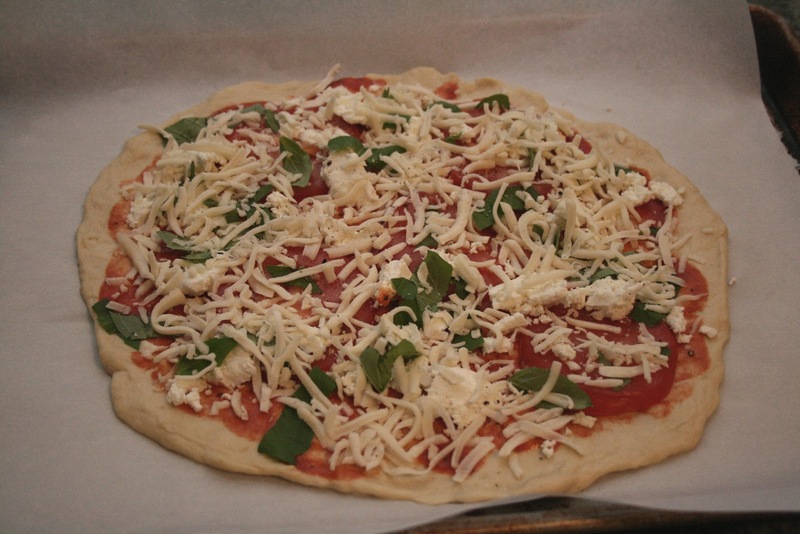 Bake for about 8-10 minutes, or until crust is golden around the edges. Serve warm and enjoy!